In some places in Vidzeme and Latgale ice on state and regional roads complicates driving conditions, as confirmed by Latvian State Roads. Anti-slip substances are being applied to roads to deal with ice. To improve driving conditions, 20 snow-clearing units have been deployed on roads. Rezekne highway (A12) from Ludza to Terehova. Regional roads suffering from poor driving conditions include Alūksne, Gulbene, Ludza, Preiļi and Valka. 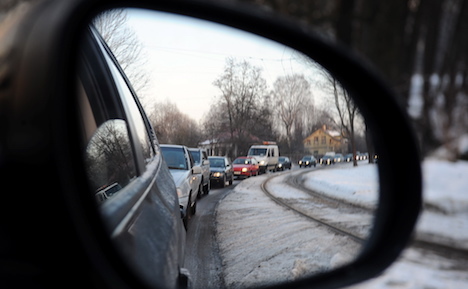 Latvian State Roads reminds that drivers should be especially careful when driving on potentially dangerous roads by picking the right driving speed and maintaining a safe distance from other traffic participants.